The European GNSS Agency (GSA) has announced the award of an eight-year, €450 million (US$585.4 million) EGNOS Service Provision (ESP) contract to ESSP, the European Satellite Services Provider. ESSP has provided EGNOS (European Geostationary Navigation Overlay Service) services since 2009 under the current contract with the European Commission, which continues until the end of this year. The new contract will cover the period 2014-2021 (inclusive). EGNOS is a space-based augmentation system (SBAS) designed to augment the GPS L1 signal by broadcasting signals from geostationary satellites to provide differential correction messages and integrity data. GSA Director Carlo des Dorides and ESSP President Dirk Werquin signed the contract yesterday (June 26, 2013) at the office of EC Vice-President Antonio Tajani, who is in charge of the EC’s industry and entrepreneurship affairs, including the European Union’s space program. 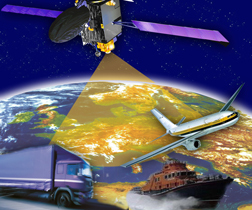 The GSA is an EU agency in charge of the various European GNSS programs, including Galileo and EGNOS. The selection of ESSP followed an open tender in which evaluation of technical and financial criteria determined that ESSP proposal offers the highest value for money for users of the future EGNOS Service, while ensuring a smooth transition into 2014. Another key element to win the ESP contract was the presence of strategic subcontractor Telespazio, one of Europe’s leading companies in satellite services, according to ESSP. 2) EGNOS Service Provision, operations and maintenance (including infrastructure evolution and deployment). 3) support to the GSA in promoting the use of EGNOS services within the various application domains. EGNOS-enabled procedures are already in use in France, UK, Italy and Germany. The EGNOS service area includes all European nations and has the capability to be extended to other regions, such as EU neighboring countries and North Africa. Major EGNOS system evolutions towards a multi-frequency and multi-constellation configuration are currently being assessed with the goals of having them operational by 2020. ESSP SAS is a French simplified joint-stock company owned by aviation-related enterprises: AENA (Spain), DGAC/DSNA (France), DFS (Germany), ENAV SpA (Italy), NAV-EP (Portugal), NATS (UK) and skyguide (Switzerland). The ESSP has its headquarters and the System Operations Unit in Toulouse, France, with its Service Provision Unit in Madrid, Spain.